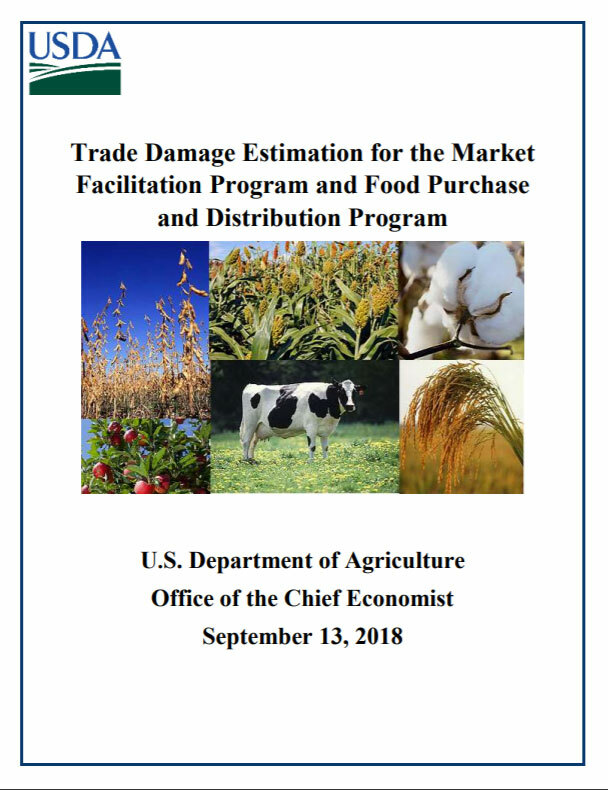 (USDA) calculated estimated damage from trade disruptions. 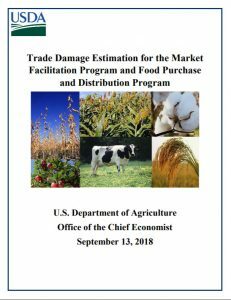 USDA’s Office of the Chief Economist developed an estimate of gross trade damages for commodities with assessed retaliatory tariffs by Canada, China, the European Union, Mexico, and Turkey to set commodity payment rates and purchase levels in the trade mitigation package announced by USDA on September 4, 2018. USDA employed the same approach often used in adjudicating World Trade Organization trade dispute cases.